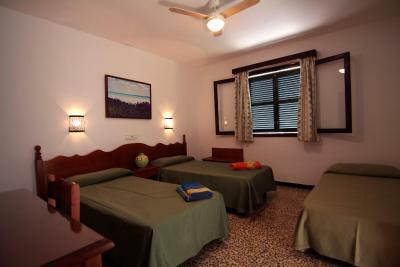 Lock in a great price for Hostal La Ceiba – rated 8 by recent guests! Although very basic (no TV, fridge, etc) the place is really great. Clean and tidy. Surprisingly comfortable beds. Outstanding staff. 5 minutes walking to the beach. We arrived earlier and there was possibility to leave the luggage in the hotel until our room is ready. Staff was very friendly and helpful. Breakfast nice, but every day same. 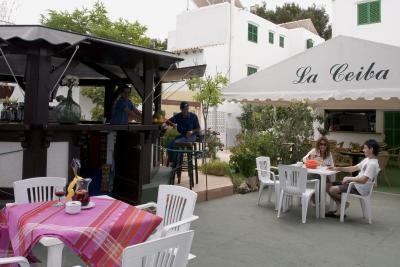 The area was very nice, quite and close to the beach and city center with restaurants. In comparison with busy Palma, this was heaven on the earth. Cool localization, Clear as clear can be. 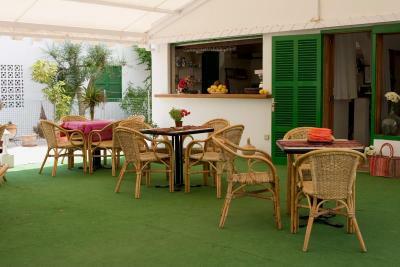 Spatious room, simple interior, good bar.good parking option. Easy to reach the city and the beach. poor selection of breakfast choice was very limited. 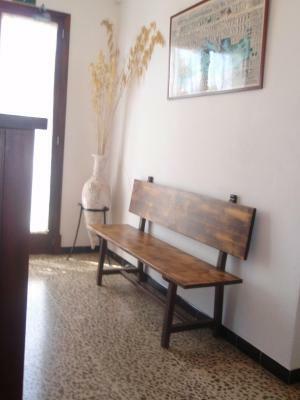 Amazing location, a secret, lonely beach is just 3 minutes walk away from the property. Very close to the bus stop and just 5 mins walk from the town centre. A very quiet and beautiful location. Stuff was friendly and helpful. The hotel and our room is very clean. The beach and surroundings are very pleasant. Beach is 5 minutes by walk, very convenient. The Hostal is very close to a very beautiful beach that we spent our days at. 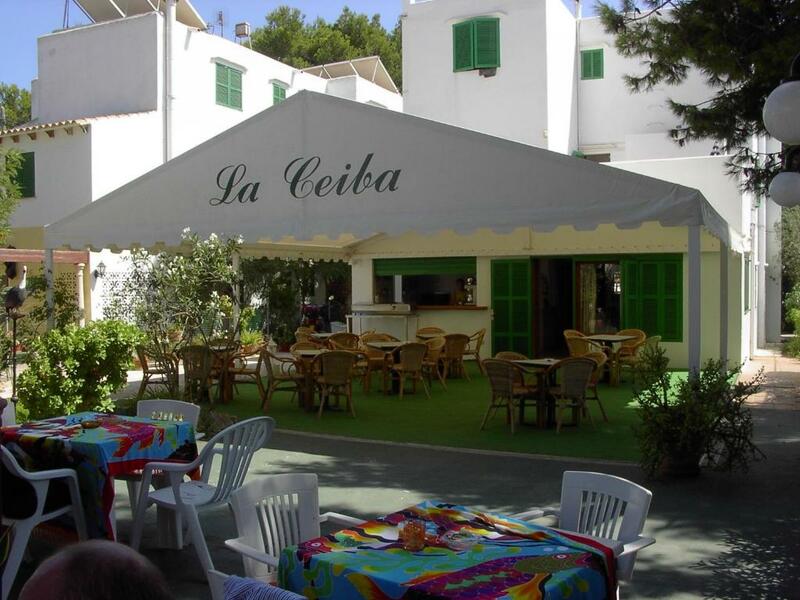 Restaurants are very close and the seafood is delicious - must try Can Trompe. We would of loved to spend at least three weeks in Mallorca. 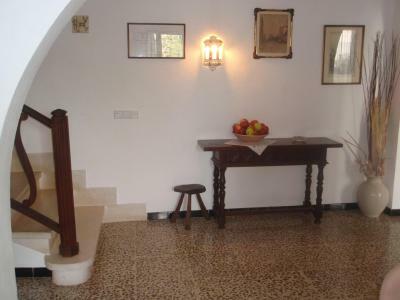 The property is close to public transport and supermarkets. Hostal La Ceiba This rating is a reflection of how the property compares to the industry standard when it comes to price, facilities and services available. It's based on a self-evaluation by the property. Use this rating to help choose your stay! 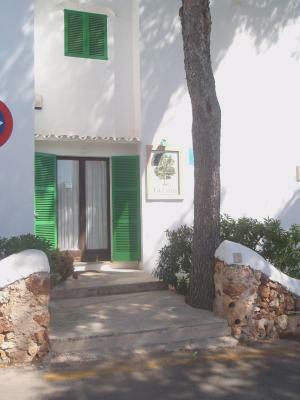 Located 800 feet from Cala d’Or Beach, this simple guest house offers a free WiFi zone and rooms with private bathroom. 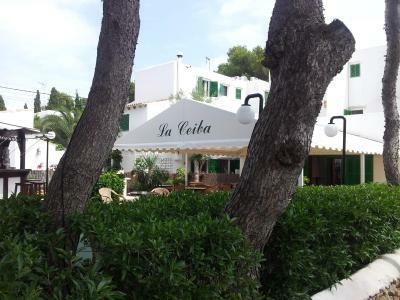 Hostal La Ceiba is a 2-minute walk from Cala d’Or Marina and the resort center. There are various bars, restaurants and shops nearby. 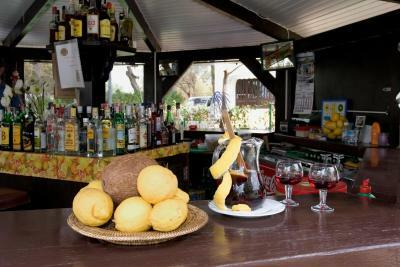 Busses to Cala Mondragó Nature Reserve stop just 1,000 feet from the guest house. Guests can enjoy a buffet breakfast on the covered terrace. There is also a snack bar and barbecue facilities in the garden. 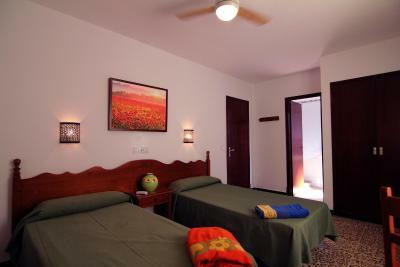 Each room at La Ceiba has functional décor and tiled floors. Rooms include a safe and a private bathroom with amenities. Fans and hairdryers can be rented from reception. 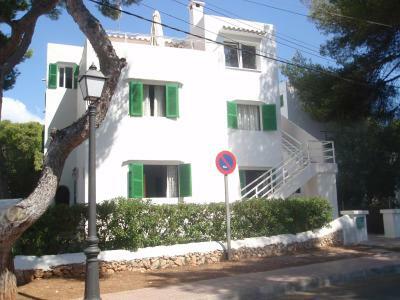 뀐 Located in the top-rated area in Cala d´Or, this property has an excellent location score of 8.9! When would you like to stay at Hostal La Ceiba? 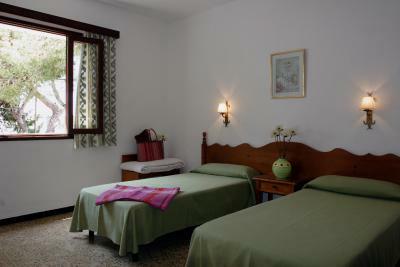 This bright room comes with 1 double or 2 single beds and a private bathroom. House Rules Hostal La Ceiba takes special requests – add in the next step! Hostal La Ceiba accepts these cards and reserves the right to temporarily hold an amount prior to arrival. Guests arriving after the check-in time should call the telephone number on the door if the reception is closed. Please note that all credit card payments incur in a 2% surcharge. Please inform Hostal La Ceiba of your expected arrival time in advance. You can use the Special Requests box when booking, or contact the property directly using the contact details in your confirmation. BRakfast is a little week. No vegetables .Wich was really missing. PLEASE PUT FRIDGE TO ROOM!! THATS really a basic! The breakfast could be a bit more various. It was exactly same every day and the choice wasn't that big, so after five days it became a bit boring. I have never met such a miserable man as the barman. No aircon. Dog that wanders about is a bit snapppy so could scare kids. Behind the bar could do with a good scrub. Breakfast was quite poor & same every day (old apples and bananas; cheap ham and cheese). The noise in our room was enormous as the hotel was very close to the road; it was difficult to sleep, the car noise would start at 4-5 in the morning. We were told that there was only one room where the noise was not as bad...and it was taken... The stuff was asking money for printing our tickets, 2 pages (3 euros) and washing one towel once (3 euros). WiFi connection was working only on the terrace. We were leaving on Monday but already on Sunday they stopped cleaning our room. I really wish we had A/C as the evenings are very hot and having the windows open the mosquitos get in. A fridge would of also been handy just to keep water cold as the days were in their mid 30s. You have to wait a minute or two for the hot water to become really hot. In the night you can hear the noise from the street very well (if windows are open of course) - not the problem of a place, but of the narrow streets around. So it may be one touristic bus and one garbage collecting truck (both around midnight) that can bother your sleep (was not a problem for us), other than that the place is very quiet in the night.